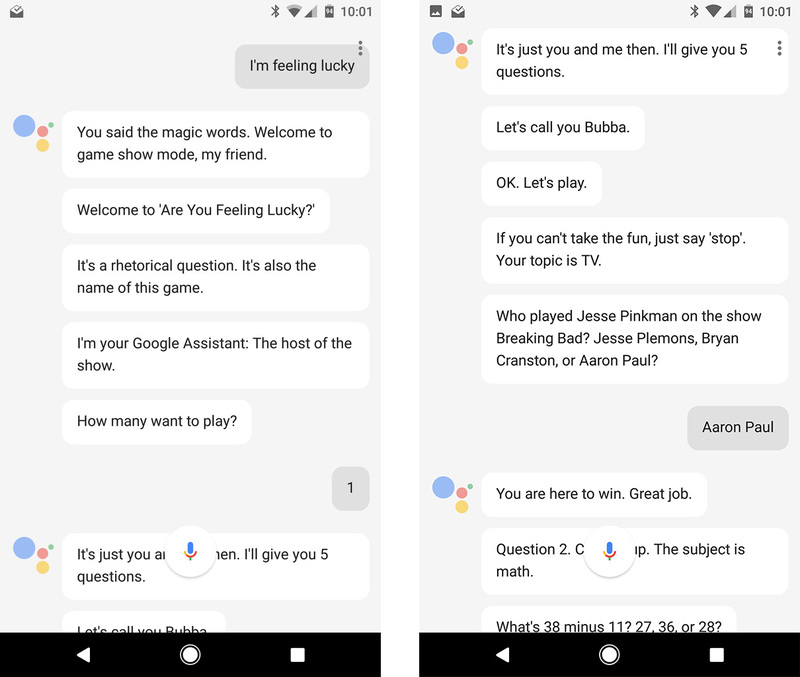 Google is pushing Assistant in a number of products, including the Pixel, Allo, and Google Home. Ars Technica stumbled upon a bit of an Easter Egg in the Pixel's implementation of Assistant, and it's pretty bonkers. If you tell the phone "I'm feeling lucky," it goes into full game show host mode. You can see the feature in action at Ars, but if you can imagine a campy game show host asking you relatively easy questions, you'll get the gist. There's theme music, casual banter, and you even get a nickname! 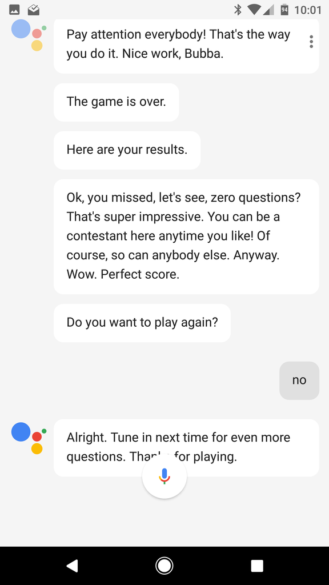 Assistant asks how many people are playing and queues up multiple choice questions. A lot of them are quite easy, but this feature seems to be more about chuckling at Assistant. There's some cringe, but it's fun. This Easter Egg is not present in Allo, but I would not be surprised if Google Home has it included. This seems like the sort of thing that would play really well in your living room with a few people over. 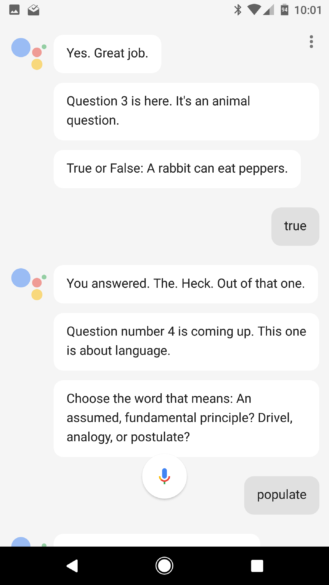 I wonder what other surprises Google has hidden in Assistant.